I’m covering a LOT of topics in this Part 2 of Predictions for 2017. You can read Part 1 in last week’s newsletter—September 10—which you can find on my Articles & News page on my website. Topics include Earthquakes and a tsunami, Terrorist Attacks, the World Economy, Syria and Turkey, ISIS, Russia and China, Canada, and Mt. Vesuvius. I did four shows with Dr. Simon Atkins recently. Here are some of the links: http://tinyurl.com/j4qu4bd, about Atlantis & Lemuria. http://tinyurl.com/j8x48co is all about the FIRST CONTACT book. The week before -- http://tinyurl.com/zkatxdp. We discussed past and future lives, reincarnation, and much, much more! They are all video interviews we did on Skype. Amanda in New Zealand writes: I just received your gentle way newsletter. I am in New Zealand. I noticed the prediction for the earthquakes and wondered what city center or island of New Zealand would be affected? I also noticed the tsunami prediction. As we are a coastal country and a lot of our towns are near the coast, not tarrying on the coast in the case of a tsunami would normally mean leaving the beach and getting as far inland as possible. In the case of Japan, their tsunami went inland several kilometers. I live in Oamaru, which is a small coastal town in the South Island, below Timaru and above Dunedin. If a tsunami were to affect this town to the extent that happened in Japan then we would have to leave our house; although it is up a hill, it may not be far enough from the coming waves. Also the town where businesses are located is on the flat and my daughter works in town. So, could you be more specific about the areas affected by the tsunami? My daughter and I lived in Christchurch and underwent many (thousands of aftershocks and quakes after the Feb 2011 quake and the September 2010 quake). Gaia, will the large earthquake affect the North or South Island? That area is in the bullseye you could say. As there will be a tsunami created, it will be a little off shore. Speaking of that, how long will it be before we see the laws tightened even just a little bit on gun ownership? The highest probability, I know you will ask, will be late in 2017 to the first quarter of 2018. It will not be what is needed, but is a step in the right direction. There will be several, although those will be somewhat limited in scope. 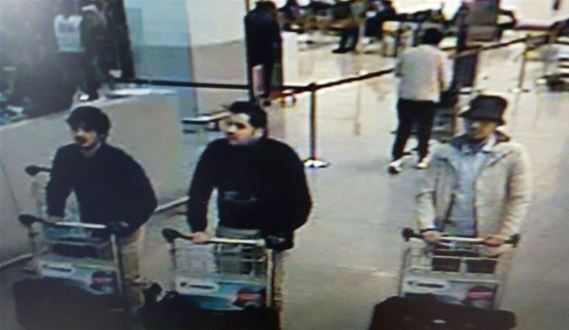 Again, governments are now spending money to locate these terrorists and stop them, but there are soul contracts here at play; therefore, yes, these will make the worldwide news again this year. That is the highest probability at this time. Again, your readers can say a benevolent prayer that is more powerful than they realize, Tom. Yes, one or two there, but, again, I emphasize there are resources being directed at stopping these before they occur. It will be a typical year of highs and lows, Tom. The conspiracy theorists keep attaching themselves to the lowest probability of a world war and a collapse of the world economy, but that is not going to happen. We have told you several times in the past that you will never destroy yourselves in another world war. You are past that possible scenario. Theo, what is the highest probability of the Syrian dictator Bashar- al-Assad remaining in power by the end of 2017? Quite high at this time, Tom—over 80 to 90 percent. Their control of territory in Syrian and Iraq will continue to decrease in 2017. They will not be completely removed—that is wishful thinking. But their organization will continue to be weakened as more of their leaders are targeted by drones and aircraft. True, people will step in to replace them, but not with the same skill set, shall we call it, to lead. Yes, Tom, I regret to inform you all that North Korea will continue on its present path for this next year. The leader is like a spoiled child that loves taunting other children in the play yard. But do not be concerned regarding their nuclear devices. There are those that are watching over North Korea and they will never be allowed to use these devices on anyone else. He is simply doing this to prove his manhood or leadership and those having lives there are all on soul contracts to live in a country under a dictator. His time to be removed will come sooner rather than later, and the highest probability is that North and South Korea will finally be combined again. That is several years away, but not too far, I wish to emphasize. Their desire for increasing control in Ukraine has not abated. The Russian speaking part of the country still wants to join Russia, so that will remain in the news in 2017, along with the “Disclosure” previously covered. That will continue unabated until adequate resources are brought to bear to stop and turn these attacks back on Russia, and we can include China as they are quite active too. China also still wants to take over Hong Kong, and they will make some inroads there, but at the same time their control over China itself is lessening with the increase in the middle class and upper class in their country demanding more rights. That is many years away, Tom. They will slowly be introduced in those parts of the country with those dangers. Some people have to learn the hard way. Janet writes: I just read today's version of the Gentle Way Newsletter - you asked very detailed weather questions about various regions of the US and many countries in the world, but there was nothing about the expectations those of us living in Canada might entertain. Was that an oversight? I hope you might be able to fill in a few blanks for us since the weather in Vancouver, B.C., is much different from that in St. John's, NL, for example. And then there are all the rest of us in between! We partially covered this under the heading of the Pacific Northwest; from Vancouver up the coast, yes, they will receive copious amounts of rain, but they will also have periods of extreme cold as I drop more weather systems out of the Arctic, so even Vancouver will see snow again this winter. As you go east, snow will pile up more than normal in the mountains and then across Canada. Yes, this country sees a lot of snow in the winter, which is why their populations are more to the south, but just as the United States will have more weather systems this winter, those weather systems will form in the Arctic and race down to the south. And, again, this will stretch all the way to their East Coast, where they will have systems also coming from the south as well as from the west and north. The residents are advised to stock up on food and extra wood and other forms of heat for this winter. Gaia, will there be any large changes in our vibrational levels in 2017? No, there will be a continuing rise, but nothing overnight shall we say. The world situation is not conducive to a large rise in your vibrational levels yet, but it will come. You can have people saying a Benevolent Prayer for world peace. Your reach is slowly widening may we remind you, Tom. Please say this Benevolent Prayer (BP) OUT LOUD: “I ask any and all beings to assist in bringing world peace to everyone, thank you!" Theo, I have contradictory information. Can we or can we not raise our vibrational levels to another time line? Yes, you were told long ago that a piece of you could go to the next time line and a piece of you would remain. That is not quite accurate, so we corrected you much later. You can raise your vibrational level so that you are at the top of the frequency of this time line. Your time line, as is the case in all the other time lines, has a fairly wide frequency band that allows growth. The upper reaches of this frequency even allows people who reach that level to accomplish things almost unimaginable to the general population. Still, their soul fragment remains in this time line and does not, in this case, move into the 7th Time Line. There are those who have learned to levitate and even transpose themselves. Yet, their soul fragments are tuned, if you will, to this time line. Do these people have the ability to visit another time line? Quite so, whether it be the 7th or 5th, they can, but the vibrational level or that band width becomes uncomfortable for their explorations, which are not done physically. Hope I got closer to the real answer this time, Theo. Much closer, Tom. There is much more to explore on this subject. Helen writes: Has anyone ever met themselves from another timeline? For example, if a tear in the timeline occurred, could John Doe from our timeline talk to John Doe on Timeline 10? Theo, has anyone ever met themselves on another time line? Not in the way asked, Tom. There have been brief times when because of a tear in the time line barriers people have found themselves on another time line, as has been widely reported, but those tears are worked on and the person returned. Yes, it’s as if there is an alarm and “all hands on deck,” to use a phrase, to correct the problem. Ramona writes: After the tragic earthquake in central Italy I was quite churned up (now I understand Italian pretty well, so my heart was even more excited) and wanted to ask some more questions about Gaia’s inner workings, but it took me a while to form precise questions. I feel great empathy for the people affected. My love and embrace to all of these souls! Are earthquakes in the Apennines a cyclic event with a special plan, when/how often each region is affected? Do longer and stronger, or even any movements in the mountains have an effect on the probabilities for the dormant volcanoes to awaken sooner? Vesuvius, Campi Phlegrei, Ischia? (I read that the shaking was also felt in Naples...) And, if that is the case, does the distance from the epicenter play a greater role if it happens, for example, in the Monti Lattari, in central Italy, or further away? I don’t really think so, but does the date August 24 have any energetic influence on the rise of the probability for Mt. Vesuvius? Why are earthquakes so hard to predict even for scientists? What are many animals able to perceive before such an event that we humans aren’t aware of? And can humans learn it again one day? Gaia, are the earthquakes in the Apennines with each region on some sort of schedule? Not so much a schedule, Tom, that scientists could determine, as there is a constant movement of my crust in this area. Do I know when the pressure will build to the point of greater movement? Of course, and in the future your geologists will have more sensitive equipment to determine this too. Compared to what devices will be developed in, let’s say, the next 100 years, your measuring devices will be looked upon as quite antiquated. Do these movements have any effect on the dormant volcanoes? In a way, yes, but more on the minor side. Keep in mind that I move magma around my interior as I need to and in time there will again be a buildup of magma underneath this area. For the time being I am releasing pressure in such locations at Mt. Etna. Does August 24 have any energy in relation to Mt. Vesuvius? No, Tom, it does not. Gaia, what is the probability of an eruption of Mt. 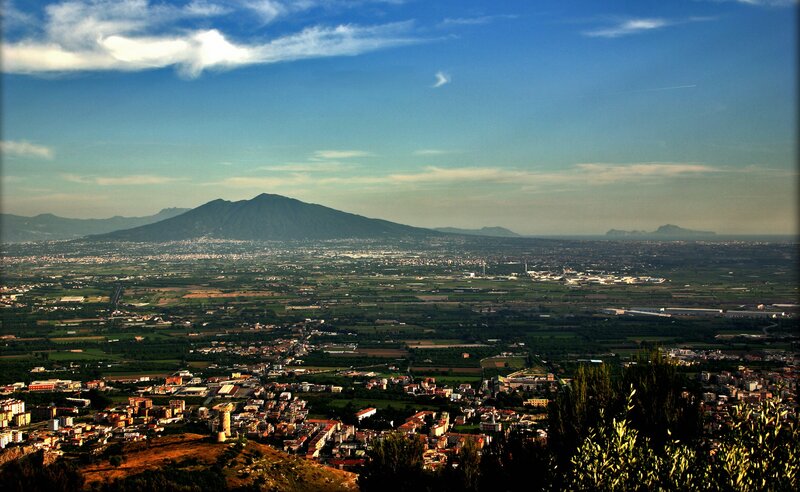 Vesuvius in five years? Very low, Tom. For your purposes it would be on the order of five to 10 percent. Yes, during that period of time there will be a buildup of magma underneath the surface there. Those living in that region are living on borrowed time shall we say. So, the probability for an eruption during that time period rises to over fifty percent. What is the probability of scientists or geologists learning to predict earthquakes in the next ten years? Better devices for measuring are on the way. But they will not be fully developed by then. Progress is being made, but slowly. Each new device will contribute one after another. Shannon writes: I’ve read much about the protests at Standing Rock over building a pipeline that could potentially contaminate large bodies of water. The protests have not gathered much news coverage, until recently, by big news outlets. I’m wondering if Gaia has any information to share about this pipeline and the likelihood that it will move forward. There are a number of items in play here, so there looks to be lots to help a variety of soul contracts get the “experience” they are looking for. A complex item, for sure, but it often amazes me how different items come together to help one address a soul contract. Jen writes: Your friend, Jen in Helena, MT, here. This may be an MBO story for you, because the results are part of one, but I also have a question regarding this event, too. I was pretty horrified by the news out of Cannon Ball, ND regarding how the Native tribe’s rights to the land are not being honored by the government, yet once again. I immediately said an MBO for the native peoples protesting, that they would not be physically hurt, and that their voices will be heard and that the results would be better than we can hope for, or expect. Then, for good measure, I went over to The Rachel Maddow Show's Facebook page and put a post urging her to tell the Standing Rock Sioux's story. I love Rachel because she will take on these types of cases and will follow them till the end. Well, that evening on The Rachel Maddow Show, I heard that President Obama put an emergency halt order telling the Army Corps of Engineers to stop any construction over any waterways and urging the construction companies to voluntarily stop building until the Corps could make sure they are following all protocols required, etc. This action on the part of the Corps all happened due to a question by a college student in Laos whose university the President was speaking at. When I heard this, I whooped and turned to my husband and told him about my MBO. My question is what will the results be? Will the tribes be given more sovereignty over their lands? Will there be less toleration of the oil companies violating the treaties? What is Gaia's take on this? The protests are ongoing and some tribal leaders say that this will continue throughout winter. I pray for the Peoples to stay protected and be victorious! Thanks so much, Tom!! This is such a wonderful tool that we can use to both bring hope to a situation and also some justice. Gaia, what is the probability of the section of the Dakota Access pipeline being completed? Yes, another example of running roughshod over the interests of your indigenous people. There will be some compromise, but not a great deal. There is too much money greasing the pockets of those who make decisions. May I remind you that you can all say a Benevolent Prayer that will assist in bringing a benevolent outcome for these people. Do you wish to learn more about ETs? This is the place. I’ve been communicating with an ET since 2008, when Theo introduced me to a member of my soul group or “cluster,” who is back on his home water world planet in the Sirius B Star System after 800 lives on Earth. Antura is an amphibian. The Abe Sapien character in the Hellboy movies looks slightly like him. Here is another question. Can you please ask the appropriate party if this launch was purposefully stopped, and if so why? Antura, was the Space X rocket blown up by ETs? Great imagination there by the person who imagined that. Blame it on those diabolical ETs. Makes good copy, doesn't it? I realize you have to ask these questions, but of course the answer is that it was simply a human-caused problem. We are your cheering section, Tom, and want only the best for you and for all of you to develop as quickly as possible to join your ET brothers and sisters, uncles and aunts. There is absolutely no reason we would interfere unless it appeared someone would try and nuke another country, and we would warn those we work with on Earth and they would handle the problem. So, bottom line is, this was a learning experience for those involved in that part of your space program to discover the reason and fix it. Mary Ann writes from Florida: I’ve been meaning to share this personal MBO with you for a couple of weeks. I will say that since I’ve been using MBOs going back to at least 2007, I’ve found that they always, always work. This story is no different. For the last two years we’ve had a lot of major appliance or systems breaking down in our 81-year-old house where we have lived for 17 years. Last year it was the central air conditioning that needed replacement as well as a refrigerator and repairs on the washer and dryer. This year more repairs on the washer, and in early August we learned that our burglar alarm system was on its last legs and needed replacement. Now this would be the third time we would have to buy a burglar alarm system since we moved here because it was wireless and the technology changes a lot. I do believe we were able to replace our dying alarm system with the new one we could afford because of the MBO. Our Guides and Angels are truly looking out for us. I encourage anybody new to the Gentle Way and reading this blog or newsletter to give MBOs a serious try. They really work!! And, again, thank you, Tom, for reintroducing this wonderful method to us. Ralonne in California writes: I forgot to send in my MBO for my road trip with my sister last week. Before leaving on a road trip vacation to the Monterey Bay Aquarium with my sister, Angele, I said a bunch of MBOs for a safe trip up and back, for good weather, for no mechanical problems with my vehicle, for the perfect hotel, and for a few other things. Suffice it to say, we couldn't have asked for a better outcome! It turned out our hotel was so centrally located that we weren't more than a mile or so from our intended destinations, oftentimes much closer. The weather was perfect the entire time we were there. The Monterey Bay Aquarium wound up being much closer to our hotel than we expected. The entry to the 17 Mile Drive along the Pacific Ocean was less than a half mile from our hotel, so we toured that and Carmel-by-the-Sea on our last day in Monterey! While we weren't that impressed with many of the restaurants in which we ate, on our last night we went to a Vietnamese restaurant called Chopstix that was within walking distance of our hotel; it was the most reasonably priced, yet best tasting food we'd had during our entire stay in Monterey. Woke up with songs in my head two of the three days we were in Monterey, which signaled to me that my guardian angel was watching over us and coordinating my MBOs. Donna writes: Wanted to share a success with everyone. I was at the grocery store last Friday and someone removed my purse from the cart when I left it unattended for a bit. I kept checking with the store in case someone turned it in, but eventually I began the process of getting a new phone, cancelling credit cards, filing a police report and getting a new driver's license. I asked for the Most Benevolent Outcome for everyone. I knew who ever took it would not reap good things for having taken it. Four days later a woman showed up at my home with my bag with nothing missing. Asking for the most benevolent outcome helped me to let the outcome rest in God's hands. Even if I hadn't gotten the bag back, I was at peace. When the ETs created us, why didn't they enable us to have 360-degree neck movement like the girl from the film “The Exorcist” and owls? Gaia, why are we not able to have 360-degree neck movement? Few ET societies have the ability to rotate their heads all the way 180 degrees in either direction, Tom. Were you to have that ability you would have to give up spinal strength and more people would have had life-threatening neck injuries. Stability and strength were desired for your bodies. 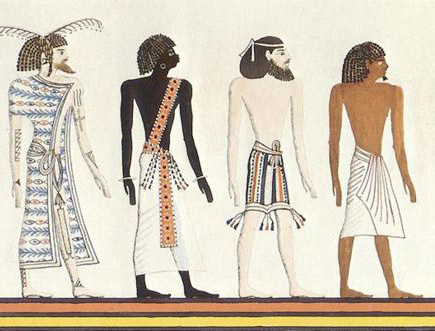 Helen in Hawaii writes: In your 6 Aug 2016 newsletter, it was stated that sometimes Atlanteans would change their names when they arrived in Egypt – did you and your flock do that too? The area in Egypt that the main flock built their homes/town that is now under the sand, correct? Will it one day be found? You had previously said I was a trusted member of your Gentle Way staff and will be once again a trusted member of your space crew in 3400 AD. As a member of your Gentle Way staff, I was a male. What job did I have, i.e., was I part of the “advance party” (as we say in the Army) to scout out and set up reception area, housing, meals, etc., for the main body’s arrival or did I do something else? In the movie, Interstellar, where time in space was slower than on Earth – will space travel/time be solved by 3400 AD; if not then, when? Who would want to leave their family for five years in space and return to Earth and it is 50 years later? Will I be a male or female in that life? About reincarnation, do immediate family members tend to reincarnate together as family or is it more like a group reincarnation, where you have a mixture of immediate family, distance family, close friends/enemies, work mates? Or is there no set-in-stone rules? When entire family groups/generations die off all at once (like in natural disasters or wars), then would these souls go into other families, in other countries, to reincarnate? Since all our lives are happening at once, then these questions may not make any sense – but it is still hard for me to conceive that everything is going on at the same time. Theo, in my life where I migrated to Egypt with my flock did I and/or any of my flock adopt more Egyptian sounding names? Yes, some did and some did not, including you. You felt the need to continue to use your given name. Is the place we built our homes in Egypt after we migrated now under water or under the sand? It all depends upon where your flock settled, Tom. Those that settled near the coast first experienced a 41-foot rise in ocean levels two hundred and odd years later, and then several thousand years later over another 170 plus- foot rise when Lemuria sank. That realty affected those descendants still living close to the ocean, but of course those were soul contracts. Then there were those who settled on verdant land farther away from the coast, but over thousands of years the land was over used and eventually, along with the changing weather conditions, were covered by sand. There are whole settlements that have recently been discovered that you have asked questions about that have been discovered using satellite imagery, and there will be more that will be discovered. The archeologists will be seeing settlements that date back many thousands of years as they excavate. What was Helen’s job when he accompanied me to Egypt? He had duties, Tom, in organizing the resettlement, as this was a mammoth job in finding, first, temporary housing as the 25,000 people arrived in waves. They did not all arrive, let’s say, in a 30-day period. You and your assistants, including Helen in her previous life as a man, knew that and spaced the arrivals out over a two-year period. Even after that, as you were previously told, people straggled in for years to come. But you soon developed a system to handle the new arrivals with temporary housing and then sent them on their way. Theo, will we return to Earth in the 3400 era in our Earth Starship after being gone for, let’s say, five years and it will be fifty years later on Earth? Yes, Tom, each of you will understand the sacrifice because when you move away from this space-time continuum (even though you will remain in the sixth timeline frequency) you will experience universal time. There will be tearful goodbyes, but don’t forget by that time people will be living much longer lives so many of your relatives will still be alive when you return, just 50 years older. When a family all dies in some event at the same time, do they all go on to their next life with other soul fragments, or do they try and come back together? That has thousands of answers, Tom. These are all soul contracts known from the start of time, so what appears to you as one tragic event was planned ions ago. They may all come back together in their next life or it could be 10 or 100 lives later for their learning. There is no one answer.